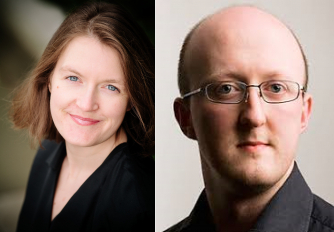 One piano, two performers, four hands... the Artistic Director of Borough New Music, Clare Simmonds, and Guest Artistic Director, Matthew Schellhorn, present a varied programme of piano duets. Whilst many of the pieces are taken from the ABRSM Spectrum series (edited by Thalia Myers), the programme also includes composers from previous decades, including Philip Lane and John Joubert. Three World Premieres are included: by Robert Saxton (b. 1953), Jeremy Thurlow (b. 1976) and Tim Watts (b. 1979).